It looks like you're using an Ad Blocker. Please consider supporting our site by purchasing an account. This web browser is not supported. Use Chrome, Safari, Firefox, or Edge for best results. After hurrying downstairs one day, I stubbed my toe — the resulting pain soared up my leg, roller-coastered around my innards and finally skyrocketed through my head where it exploded like fireworks into the idea for this puzzle's theme. From pain to eventual pleasure in one not-so-easy step. Normally, I remain stationary and try to think outside the box when considering most themes. It's been a couple of decades since the NYT published my last puzzle — I was a semi-regular contributor for both the NYT and Simon & Schuster throughout the 1990s and late ‘80s (back, it seems, when dirt was just invented) before stopping to pursue other hobbies. Recently, I've taken up both writing and cartooning, and have published two e-books apiece in both genres. The lure of crafting crosswords, however, still sings to me with its siren-sweet voice, so I've been making puzzles in bunches as of late between other projects. Unfortunately, I've been amassing numerous rejections. I might have to try the ‘hurry-down-the-stairs' trick again. I loved this concept. There's something so evocative about the HIDDEN STAIRCASE wending its way down from the TROPHY ROOM to the WINE CELLAR. Secret entrances and passageways, opened by pulling a WALL SCONCE or pushing a FALSE PANEL – fodder for many a fantastic novel! Usually, I find it problematic when a grid gets segmented up, messing with my solving feng shui. But in this case, I didn't mind that the center is so choked off. In fact, it's a bonus, considering the theme of narrow, twisty passageways! Bravo, sir. I wasn't sure why a TROPHY ROOM would be the start point, or the WINE CELLAR the end. But I enjoyed the Masonic cabal feel that I overlooked this. What I couldn't overlook though, was issues with the execution. I enjoyed the Poe-esque conceit so much that I so badly wanted to give it the POW! Couldn't do it, though. 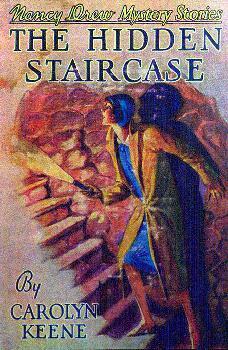 First, HIDEAWAY / HIDDEN STAIRCASE is duplicative. Then CASE / BOOKCASE too? I could see it if the BOOKCASE was the thing that was pushed back to open up the HIDDEN STAIRCASE! How awesome would that have been? So much more apt than a FALSE PANEL. Sadly, that wouldn't have worked, since the BOOKCASE wants to be on top, but the CASE part of the HIDDEN STAIRCASE wants to be on the bottom. So in that CASE, I'd have much preferred the CASE of BOOKCASE to be more well-hidden. Nope. Bryant had to close off his middle so much, that the rest of the puzzle was forced to contain huge wide-open spaces. In the NE alone, see DRAYS, LDS, and the Maleskan ONER. That last one is nearly a puzzle-killer to me. I think changing to shorter theme bonuses — from BOOKCASE to BOOK, e.g., would have helped. Overall, fantastic idea. Stupendous. Too many execution problems, though. Answer summary: 3 unique to this puzzle, 1 unique to Shortz Era but used previously. The grid uses 24 of 26 letters, missing QX. It has normal 180-degree rotational crossword symmetry. Average word length: 4.69, Scrabble score: 297, Scrabble average: 1.62. Puzzle has 4 fill-in-the-blank clues and 2 cross-reference clues. This puzzle has 3 unique answer words. The green highlighted squares show which daily puzzle average is closest to this puzzle for each statistical category. The next two sections attempt to show how fresh the grid entries are. In this view, unusual answers are colored depending on how often they have appeared in other puzzles. Unique answers are in red, red overwrites orange which overwrites yellow, etc. Cheater squares are indicated with a + sign. Freshness Factor is a calculation that compares the number of times words in this puzzle have appeared in other Shortz Era puzzles. Click here for an explanation. The chart below shows how many times each word has been used across all NYT puzzles, old and modern including Variety. Found bugs or have suggestions?